Juve will be without the injured Patrice Evra and the suspended Claudio Marchisio for the trip to cross-city rivals Torino and the latest installment of the Derby Della Mole. The Bianconeri are on an incredible run this season, with only 2 defeats throughout the entire Serie A campaign, both away from home against Parma and Genoa. The losses aside, Juve have won 22 games and drawn just 7 to earn them 73 points. A 15 point lead at the top of the table with only 7 games left this season means victory against Torino tomorrow and a further 3 points against Fiorentina the following week, will guarantee them a forth successive scudetto. Juve were in action against Monaco midweek, and coach Max Allegri was quick to point out that the team was far from 100%. Carlos Tevez and Alvaro Morata both suffered from fevers while Andrea Pirlo is yet to fully recover from his latest injury while Arturo Vidal had tonsillitis. While the performance left a lot to be desired, Juve have earned a place in the semi-finals of the Champions League for the first time in 12 years, where they’ll face Real Madrid. Allegri addressed the criticism leveled at his players in his press conference earlier today, stressing that the result was all important. “I don’t like that the team was criticised, as that night the objective was to qualify.” Allegri told reporters. “We are at a moment of the season where the side cannot give more than that and the complaints irritated me. “This is a side that is top of the Serie A table with a big advantage, in the Champions League semi-final and the Coppa Italia Final. What more can you ask? Turning his attention to the game against Torino, Allegri addressed the likely squad selection. “Everyone is at my disposal tomorrow except for Evra. After the training session we’ll evaluate the best line-up. On Wednesday we played some lads who were not in good shape. 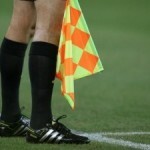 The system also depends on the conditions of the players. Taking all this into account, it’s likely we’ll see a relatively full-strength Juve XI against Torino, especially given the importance of the game. Gigi Buffon is fit and will start in goal and Juve could well revert to the 4-3-1-2 meaning a back line of Stephan Lichtsteiner, Leonardo Bonucci, Giorgio Chiellini and Simone Padoin is the best bet. In midfield, Andrea Pirlo, Arturo Vidal and Stefano Sturaro will start with Roberto Pereyra playing behind a front two of Carlos Tevez and Alvaro Morata. 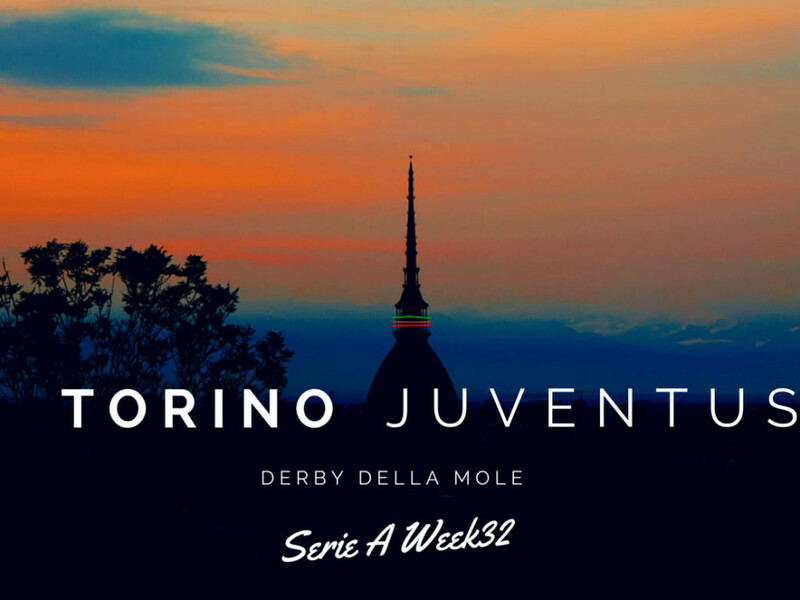 In the first Turin Derby, Torino interrupted a 13-year long scoring drought against Juventus with that Bruno Peres gem, but they were once again defeated by The Old Lady. However, at that time, Torino weren’t really playing well but still put up a nice fight. They are performing much better in the second part of the season, as it often happens for teams led by Giampiero Ventura. It should be a fun bout. Torino have just an outside chance to repeat last year’s comeback and grab an EL spot last-minute (or in overtime, since they qualified because Parma were excluded): they are five points behind Fiorentina and six points behind Sampdoria with seven games to go. Two teams that are probably better equipped and have more drive, while Torino could be content with finishing in the honorable part of the standings after a very competitive European campaign. But of course, the Derby provides big motivations on his own. After stumbling through Autumn, things have improved for Torino when they have been able to field a consistent XI. While they don’t play the same high tempo style they were using with Alessio Cerci and Ciro Immobile, they remain dangerous on the counters, they have few playmakers and shooters on offense, they are more seasoned and have more veteran leadership. Players like Daniele Padelli, Nikola Maksimovic, Marco Benassi, Omar El Kaddouri, Bruno Peres and Josef Martinez have matured, not to mention Matteo Darmian who has simply risen to stardom. They are more “grit-and-grind,” they get things done differently, but they are still pretty successful. Fabio Quagliarella has scored consistently and has tallied twelve goals so far. The second leading scorer, with seven, is Kamil Glik who’s just a brute force on set pieces (sometimes also used as a decoy). But they have many players who can score throughout the roster. They have been ok at home so far, with five wins, seven draws and three losses. There are just a couple of doubts regarding the lineup. Ventura will field his customary 3-5-2, with Maksimovic and Bovo battling to start alongside Glik and Emiliano Moretti in the defense: the Serbian CB is the favorite since he was preserved in the last match (he was one yellow card away from disqualification). The midfield will be composed by Alessandro Gazzi, who has established himself as pivot, Omar El Kaddouri, who has the task to connect the two lines, and either the energetic Benassi or the muscular Farnerud. Giuseppe Vives could be an option if they chose a more defensive outlook. Bruno Peres and Darmian should play on the flanks, even if Cristian Molinaro has been quite a regular in the XI. Quagliarella is a lock in the attack, with either the speedster Martinez or the opportunistic Maxi Lopez, who has scored some big goals off the bench, on his side. They have a full squad, with no injuries or disqualifications. 3-5-2: Padelli; Maksimovic, Glik, Moretti; Bruno Peres, Benassi, Gazzi, El Kaddouri, Darmian; Martinez, Quagliarella.